As the probe into the utilisation of funds in the office the National Security Adviser (NSA) continues, the presidency yesterday denied a report that President Muhammadu Buhari collected $300,000 and five armoured SUVs from the NSA’s office following the attack by suspected Boko Haram members on his convoy in Kaduna last year, but admitted that the president got two SUVs from the Goodluck Jonathan administration. A statement issued on Tuesday in Abuja by the president’s media aide, Mr. Femi Adesina, said Buhari received one armoured SUV and one untreated SUV from former President Goodluck Jonathan after he (Buhari) was attacked. The statement said: “While it is true that one armoured SUV and one untreated SUV were sent to the president in the aftermath of the attack, the vehicles were in keeping with his entitlements as a former Head of State under the Remuneration of Former Presidents and Heads of State (And Other Ancillary Matters) Decree of 1999. “Our attention has been drawn to reports making the rounds, especially on internet-based media that President Muhammadu Buhari received $300,000 and five SUVs from the Office of the National Security Adviser. “We unequivocally deny that President Buhari received $300,000 or any monetary compensation whatsoever from the Jonathan presidency or any of its officials in the aftermath of that attack or at any other time since then. “Section 3, Sub-section 1 of that decree provides that three vehicles will be provided for former heads of state and replaced every four years. 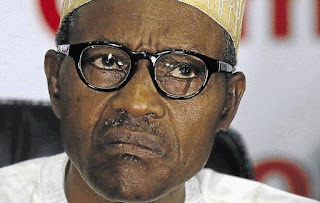 “There was therefore nothing untoward, illegal or tending to corruption in former Head of State Buhari and presidential aspirant, as he then was, receiving vehicles, to which he was statutorily entitled from the Federal Government of Nigeria. “Buhari had in keeping with his austere, spartan and frugal disposition shunned most of his entitlements as a former head of state, but was prevailed upon by his supporters to accept the two vehicles for his personal safety in the aftermath of the dastardly attempt to assassinate him.